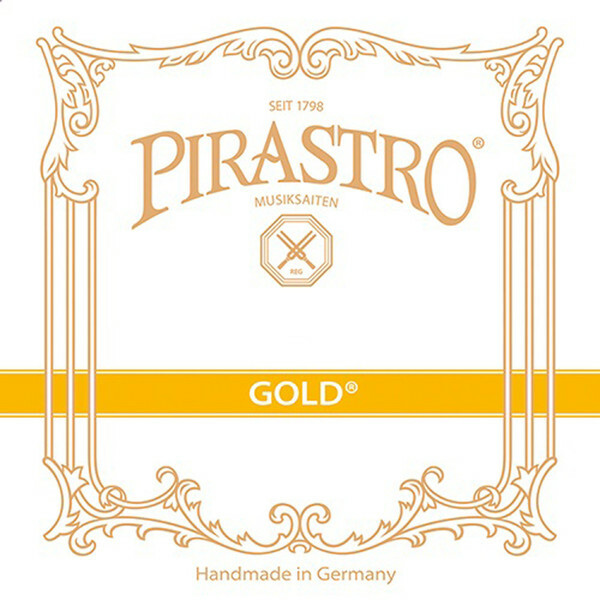 Pirastro Gold Label Cello C String offers a reliable sound for developing players. The string has a hand wound sheep gut core, producing a bright sound with excellent versatility. The silver winding allows softer playability with a comfortable feel, ideal for chamber musicians. The medium string tension is ideal for having a controlled, balanced sound. This C string is designed for full size cellos and has a knot end. The Gold Label strings, made from a sheep gut core, are wound and polished by hand for a rich and complex tonal core. This enables the performer to reach every corner of tonal colour with minimal difficulty. The Gold Label is a fantastic set of strings for advancing musicians with a vivid and expressive tone.